Southwest Utah is a riding paradise for on and off road enthusiasts. The scenery is stunning and it would take years to explore the paved and unpaved roads that twist and turn through the hills, mountains and valleys in the region. 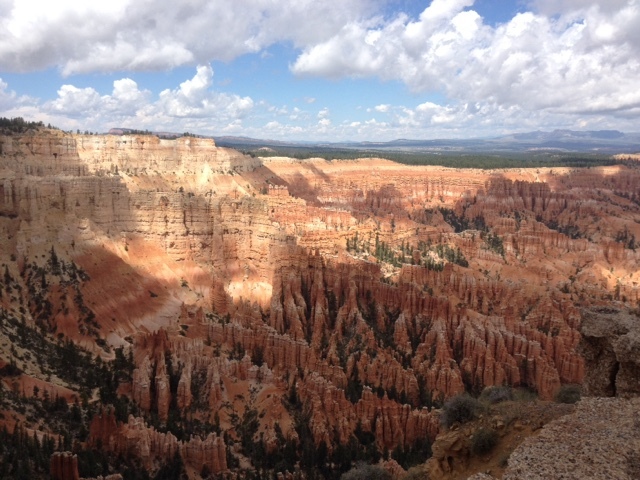 Southwest Utah is best known for Bryce and Zion National Parks and both are beautiful and should be visited. Outside of the National Parks, Southwest Utah has a lot to offer if you're willing to explore. My guides to this region were Curtis Cummings and Jeff Anderson of Great Southwest Moto Adventures who led our group of 5 through 3 days and 625 miles of rural paved and dirt roads. I usually like to explore on my own and shy away from tour groups, however Curtis generously donated a 3 day tour to one of my chosen charities (Lost For A Reason) for a silent auction. I won! 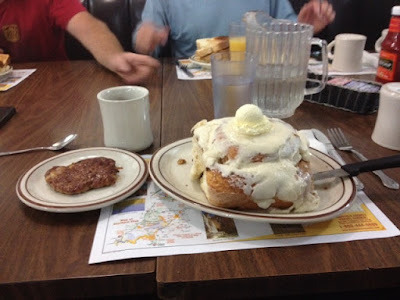 My first meeting with the group was a bit delayed as I managed to get stuck in the infamous Utah mud while exploring a couple of days on my own and I arrived at the meeting place in Cedar City, Utah 7 hours late. 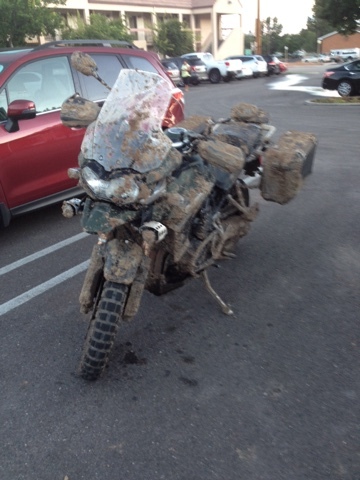 Utah mud is nasty, slick and heavy! I met the group the morning of the ride and was reassured by the relaxed attitude and impressed with how well they were prepared, which would come in handy during the trip. 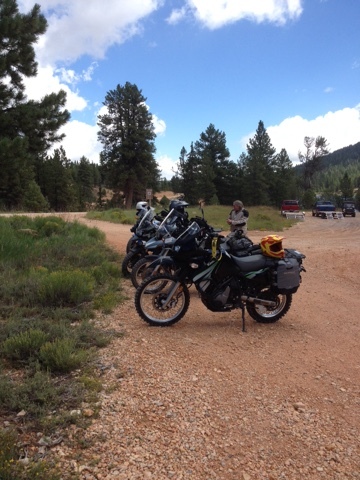 The first day was spent riding the back roads of the Dixie National Forest between Cedar City and Bryce Canyon, where we stopped for lunch. The afternoon was spent off road, including a little more mud, and some stunning sights. 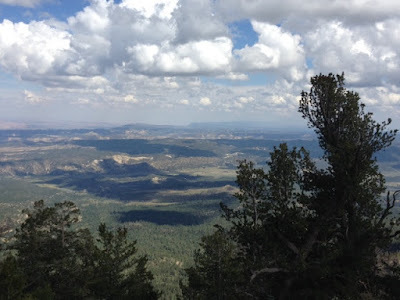 10,000+ feet provides a great viewing platform. We finished the day riding into our "base" for the next two days, Panguitch, Utah. If you like fresh cinnamon buns, then a trip to the Flying W in Panguitch is in order. Make sure you bring a few hungry friends to help. On day 2 we rode a section of the Paiute ATV Trail system, which involves over 2,000 miles of trails that range from easy to extremely challenging. The day started out with a slight "glitch" as one of the bikes experienced a flat tire. Fortunately all the necessary tools and materials required to fix a flat were packed and the group was off in no time. The trail system is on both private and public lands and is open to all forms of motorcycles, ATV's, side-by-sides and 4 legged creatures (horses). 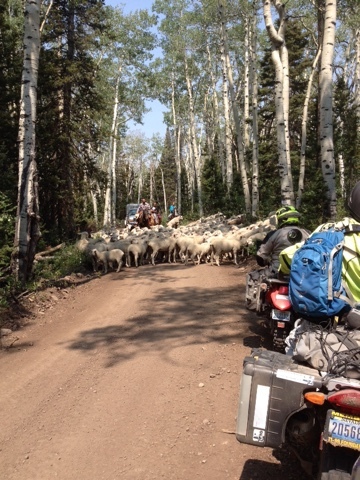 We even hit a "traffic" jam while on the ride. We also rode over the Tushar Mountains, hitting an elevation of 11,500 ft.
Rare air at 11,500 Ft.
On day three we were back in the mountains. Boulder Mountain to be exact. The first stop was at Posey Lake. A beautiful place that's loaded with trout. Next we rode over a section of road called the Hells Backbone. This is a narrow dirt road that follows the crest of a ridge, including a short bridge that spans a gap in the ridge and offers great views of the canyon below. Returning to the pavement, we rode Utah Highway 12 into the Grand Staircase National Monument and across a section called Hogsback where the highway runs on top of a narrow spine in the landscape. If you're into riding pavement and scenery, plan a trip that includes Utah Highway 12. I guarantee you'll love it! Returning to the dirt, we worked our way to Hatch, Utah and then up to the Bryan Head recreation area for a stunning view of Cedar Brakes National Monument. After 3 amazing days of riding with equally amazing scenery, it was time to return to reality. At least for a couple of weeks. Southwest Utah is an amazing place to ride and Great Southwest Moto Adventures can guide you and your friends through an adventure that you'll remember for a long time. Please check them out. Thank you Cody! I've had the opportunity to ride in this area the past 2 years and it's an amazing place. Off road riding is actually encouraged and from my understanding a big part of the economy of the region. You'll enjoy it for sure. Great write up. I'm a pavement guy but you're right southern Utah is great riding all around. Thank you. This part of the US has something for everyone on two wheels (or 4 for that matter. I believe there are more side-by-sides here then anywhere else in the world).